﻿ Holi is here! beware of food adulteration! It’s that time of the year again! This colorful festival brings with it an end to the winter chills, and heralds a new beginning with advent of spring. This is a time for merriment and spreading festive cheer and color among friends and family. Thandai, as the name suggests, means “coolant”. Why is it called so? Because the key ingredients like milk, nuts, herbs and spices helps tocool the body by balancing the heat in the body during hot summers. Thandai is a very popular summer drink, and especially during Holi, it is made with bhang, which is derived from Cannabis. 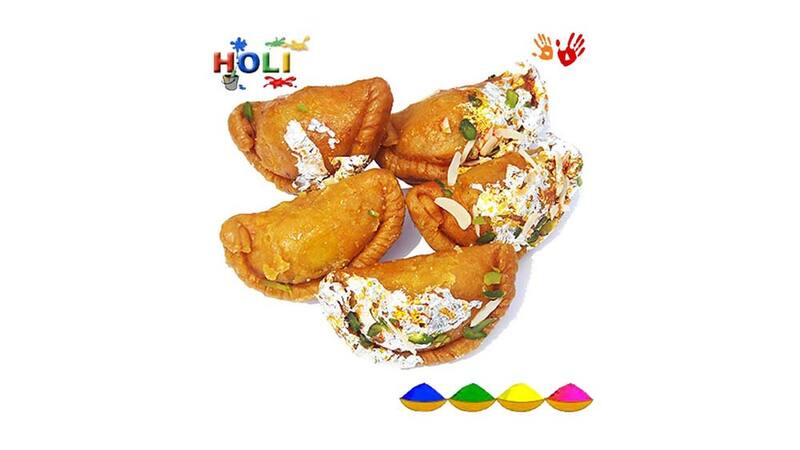 This very intoxicating ingredient elevates the spirit of Holi to a new height. However, this ingredient is optional, and is not generally included in the recipe of Thandai, when it is consumed as a summer drink. What goes into making Thandai? How can Thandai be adulterated? • Milk: The major and most essential ingredient is milk. Milk can be adulterated by adding starch, which gives it a thick, rich texture. The milk can be tested by boiling a diluted sample in a test tube, cooling, and adding a drop of iodine solution. Blue color indicates starch contamination. Importantly, adulteration of the milk will spoil the quality and rich taste, for which Thandai is famous. It is also very important that the milk is boiled and then cooled before use. This will get rid of all germs that may be present in the milk. • Water:It is essential that the water used for preparing Thandai is pure, potable water. Any contamination of the water will lead to stomach upsets, and therefore ruin the festivities and fun associated with Holi. If in doubt, boil the water, then cool it before preparing Thandai. • Sugar:You might be surprised to know that powdered sugar and be adulterated with chalk powder or white sand, which can cause severe stomach disorders.You can check by adding sugar to water and stirring. Pure sugar will dissolve, while any impurities will remain undissolved. • Black pepper: Whole black pepper corns can be contaminated with papaya seeds. A simple way to check is to put the black pepper corns in alcohol. Mature black pepper corns will sink while papaya seeds, if present, will float. • Artificial colors and flavors: Thandai can be adulterated with non-permitted colors/flavors by flouting the FSSAI guidelines. For example, Saffron (Kesar) is sometimes included and the declaration on the labelis often used by the Food Business Operators (FBO) to mislead the consumers, when actually artificial colors are used instead. Therefore, it is advisable to buy these ingredients from a reliable outlet. • Buy from a reliable outlet only:If you intend to buy Thandai mix from the market, be sure to buy a reputed brand from a reliable retail outlet. This will save you trouble from buying a spurious product. It is important that you check the date of manufacture and expiry date. • Be extra careful with ready-made Thandai: If you can’t resist having ready-made Thandai, you should be cautious. Buy from a sweet shop in your locality that you know is reliable and sells good quality sweets. Ensure that the sweet shop is clean and free from flies. Don’t go for brightly colored and exotically flavored Thandai, as these may contain non-permitted artificial colors and flavors.Preferably choose a regular one, but check that it’s fresh and doesn’t have an “off” odor. • Prepare your Thandai at home: The best option would be to go for home-made Thandai. This will not only ensure quality and purity, but will definitely be healthier too. Here also, you should be careful that you buy the individual ingredients from a reliable shop so that these are of good quality. What can the FBOs do? • The health of their consumers should not be compromised, so the Thandai should be prepared and served hygienically. • The food preparation area should be clean, dust-free, cool and free from flies and other pests. • After preparation, the Thandai should be covered immediately and refrigerated. The food handlers should remember that this food item is rich in nutrients and sugar, and so bacteria will grow rapidly. Therefore, Thandai should ideally be prepared fresh and served chilled to prevent bacterial spoilage. Holi is a time for merriment and enjoyment. The last thing you would want is to fall ill. You should keep in mind that adulteration increases during festival-time due to increasing demand. Therefore, you must be more alert and vigilant during this time. In order to protect yourself and your family, be informed, and follow these simple instructions to have a safe and happy Holi. Wonderchef to enter franchisee model for expansion..